If you are new to Myers Tire Supply, please register here. If you have an existing account with Myers Tire Supply, please contact our customer service team at 888-333-5595 or e-mail us at sales@myerstiresupply.com. 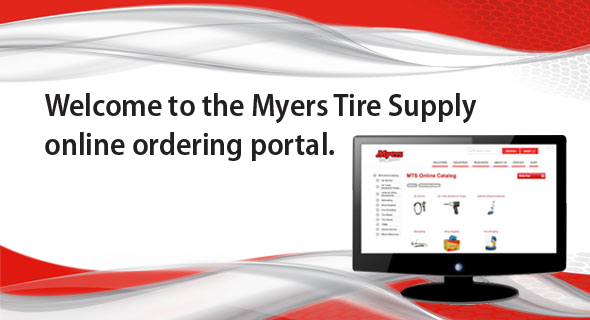 Welcome to the Myers Tire Supply online ordering portal. We are pleased to offer a site where you can shop our broad selection of products, order 24 hours a day, track orders, view order history, print invoices and much more! We are continuously adding more products to the site and preparing even more functionality with your needs in mind. Be sure to check back often to see what's new.